In 2015, W. Ray Nickle demonstrated his commitment to serving low-income individuals by volunteering pro bono service to the citizens of Arkansas in the Legal Aid of Arkansas service area. On Law Day, May 1, he is being recognized with the Overall Outstanding Service Award for work done in 2015. The award, given each year by Legal Aid of Arkansas, recognizes an attorney who best personifies the ideals of volunteerism and professionalism in the 31 counties Legal Aid serves. Nickle grew up in Wyoming and attended Augustana College then graduated with high honors from Idaho State University in 1983. 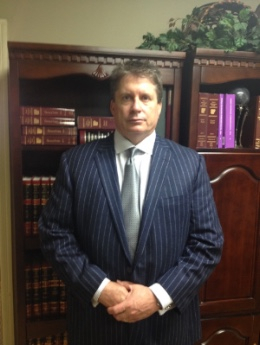 He received his Juris Doctorate in 1986 from the University of Arkansas School of Law in Fayetteville. “To simply give back and help people” is what motivates him to volunteer his time with Legal Aid of Arkansas clients. Nickle is married to Sharon Nickle and has 2 sons, John and Greg. He enjoys golf, hunting and attending sporting events. His practice, Nickle Law Firm, is located at 301 W. Matthews, Jonesboro, AR.